What’s so special about Fastbraces? Who is a good candidate for Fastbraces? How much does Fastbraces cost? Fastbraces is an innovative alternative to removable aligners and traditional fixed braces and is designed to produce speedy results. This fixed brace treatment has been developed over a period of 25 years and can be beneficial for patients with a wide range of orthodontic issues. Fastbraces is a relatively new fixed brace system that promises to deliver faster results. For many people, speed is a priority and they want to showcase the results of their treatment as quickly as possible. With Fastbraces, treatment times are shorter and the system offers an alternative to removable braces and lingual braces for people who are in a hurry. Typically, this system produces results in around half the time of conventional fixed braces. Fastbraces don’t look like conventional fixed braces. Instead of the traditional square brackets, these braces feature triangular-shaped brackets, which increase the speed of tooth movement, reduce friction and provide discreet aesthetics. This treatment is suitable for patients of all ages and it can provide a solution for many common orthodontic issues, including crowding, gaps between the teeth and crooked teeth. It’s understandable to question how Fastbraces work so much faster than other orthodontic systems. The main reason treatment times are much shorter is the technique. With Fastbraces, the entire tooth is treated from the very first day of treatment. Normally with braces, the crown of the tooth is moved first, followed by the root. With Fastbraces, both the crown and root sections of the teeth are moved together and this drastically reduces treatment time. In the case of a 2-year treatment with traditional braces, Fastbraces would typically produce results in one year. Normally, the crowns would be moved in the first year and the roots in the second year, but with Fastbraces, both parts are treated at the same time. Fastbraces are made from triangular brackets and a heat-activated wire and this enables them to work faster and target the entire tooth from the outset. Triangular brackets create much more space between the individual brackets and this increases the flexibility of the wire, enabling it to move the root in an upright direction as well as adjusting the position of the crown. The first step is to book a consultation with a Fastbraces provider. Fastbraces is becoming increasingly popular and the number of providers is rising all the time. When you go for a consultation, there’s nothing to be worried or scared about. You will simply have the chance to meet your dentist or orthodontist, discuss the ins and outs of the treatment and ask any questions. Your dentist will perform some tests and thoroughly analyse your bite to assess your orthodontic needs and determine whether Fastbraces would suit you. If you decide to go ahead with treatment, your dentist will schedule an appointment to start your treatment. Every patient is different and treatment is tailored to the individual. Your dentist will use dental X-rays, images and moulds of your teeth to plan your treatment. Your braces will then be fabricated and once they are ready they will be fitted and treatment will begin. During your treatment, you will be advised to visit your dentist frequently so that they can check on your progress. If you have any issues or questions between scheduled appointments, don’t hesitate to give the clinic a call or arrange another appointment. Treatment times vary, but typically results are produced in 3-12 months. Once your dentist is happy with the finished product, your braces will be removed and your teeth cleaned and polished. You can then enjoy the fun bit - showing your new smile off to the world! 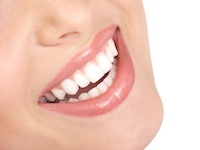 After treatment, many patients choose to have whitening treatment to give their smile that final flourish. Everyone is different and treatment times vary according to how much movement is needed and the type and severity of the orthodontic issues. The average treatment duration is 6-12 months. However in mild cases, treatment may be completed within just 16 weeks. When you have your consultation, your dentist will be able to give you an accurate prediction of how long your treatment will take. Typically, Fastbraces work around 50 percent faster than traditional fixed braces. When you have your consultation, your dentist will go through the benefits of treatment with you and they will also be able to show you images of what your smile could look like if you choose to go ahead with Fastbraces treatment. Fastbraces is different to other treatments because it moves the entire tooth from the very beginning of treatment. This not only means that the roots are more stable after treatment, but it also allows you to enjoy results in half the time. The patented triangular brackets allow for greater flexibility in the heat-activated arch-wire and this speeds up treatment in comparison to the traditional square brackets most of us are familiar with. These braces also offer a discreet solution for those who worry about having braces because of the impact it will have on their appearance. Whether you’re worried about looking unprofessional at work or you simply don’t think you’ll feel confident wearing visible braces, Fastbraces Clear could help to ensure that you sail through the treatment process without any concerns about how you look or what other people think. The technology behind Fastbraces also facilitates comfort during the treatment process and in the vast majority of cases, patients don’t need teeth removed before they start treatment. This is a great comfort to many people who suffer from dental anxiety. Fastbraces is also more affordable than many other treatments on the market, making it accessible to a wide range of patients. Fastbraces has been approved for use in countries all over the world and it has been developed based on extensive research and prolonged periods of theoretical study and practical testing. The manufacturers have carried out more than 20 years of research and the findings of their studies and academic journals related to their work are available to view on their website. If you have any questions about the safety of Fastbraces, don’t hesitate to ask your dentist. Fastbraces is suitable for both adults and teenagers. When you have your consultation, your dentist or orthodontist will carry out tests, such as X-rays, to check that you are a good match for Fastbraces. Adult orthodontic treatment has become very popular in the last few years thanks to the availability of discreet and rapid treatments and an increased desire to have an attractive looking smile. Fastbraces is an excellent choice for many adults as it produces results quickly and is a much more discreet option than traditional fixed braces. Treatment costs are also lower than many other systems. As Fastbraces work quickly, they are often a popular choice for people who have a specific date or occasion in mind. This includes those preparing for graduations, weddings and landmark birthdays, for example. Many people choose to have orthodontic treatment to improve the aesthetic of the smile and make them feel more confident. Research shows that an attractive smile improves employment prospects and makes you more appealing to others. Surveys suggest that a nice smile is one of the most attractive features in potential partners and people with nice smiles are more likely to be perceived as trustworthy, friendly and confident than those with unhealthy or unattractive smiles. For many teenagers, the most important question related to orthodontic treatment is ‘when will my braces come off?’ and Fastbraces offers a speedy solution for whose who aren’t keen on wearing braces for long periods of time. Treatment is typically complete within 12 months and with Fastbraces Clear, teens can also feel more confident, as the braces are barely visible. Teenagers are notoriously image conscious and wearing braces can be a daunting prospect. With Fastbraces Clear, you don’t have to worry about how you look or what other people will say. The cost of Fastbraces treatment depends on the individual case and a number of factors must be taken into consideration, including the clinic you choose, the level of expertise of the dentist or orthodontist and the number of braces used (some people only need one arch treated, while others will need both). Typically, you can expect to pay around £1,500-£2,500 for one arch and up to £3,500 for both arches. Clear braces are around £500 more expensive than metal braces. The exact cost will vary and it’s always important to get a full written quote before you agree to go ahead with treatment. Many clinics in the UK now offer payment plans and dental finance, which enable you to spread the cost of your treatment over a period of time and pay in instalments, rather than paying a lump sum. Retainers are orthodontic appliances designed to hold the teeth in place after braces have been removed. Wearing a retainer is very important because it helps to prevent the teeth from slipping out of their new position. This is known as relapse. There are various different types of retainers available, including fixed and removable appliances. Fastbraces retainers are made from clear plastic and they are removable. Unlike with many other treatments, you don’t need to wear a retainer all the time after Fastbraces treatment. You simply wear your retainer for a period of time every day. In most cases, this will only be around 15-20 minutes per day. Retainers are custom-fit so you shouldn’t find them uncomfortable at all. When you have your Fastbraces removed, your dentist will give you instructions about wearing your retainer at home. It’s important to follow these instructions to keep your smile looking amazing and make sure that all the good work doesn’t come unstuck.